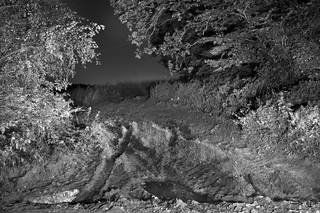 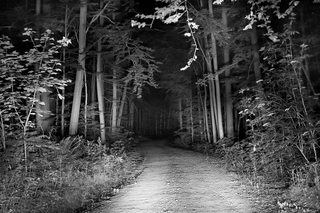 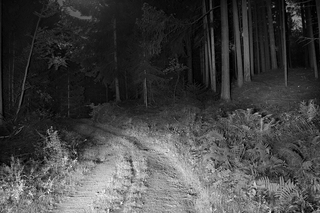 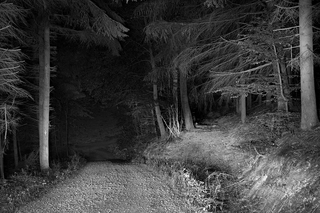 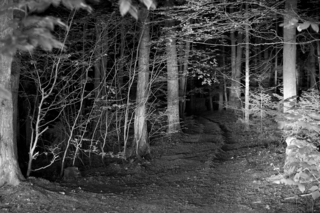 The feeling of being lost, and not finding your way back is the central theme of the series „Waldwege"
Even if you take your own safety area, the car, with you, the fearof the unknown is still lurking in the shadows. 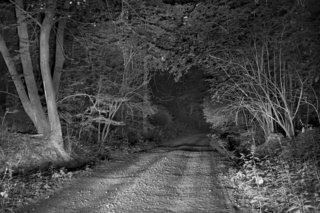 The light on the road, cast by the headlights of the car, gives you the illusion that a small piece of your way is controlable. 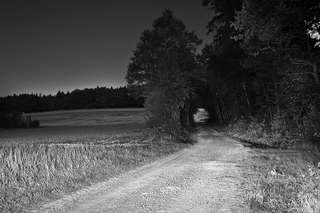 But in the end, the road is still filled with darkness and uncertainty.